Russian economists presented to Vladimir Putin three programs to help the country get out of the crisis. 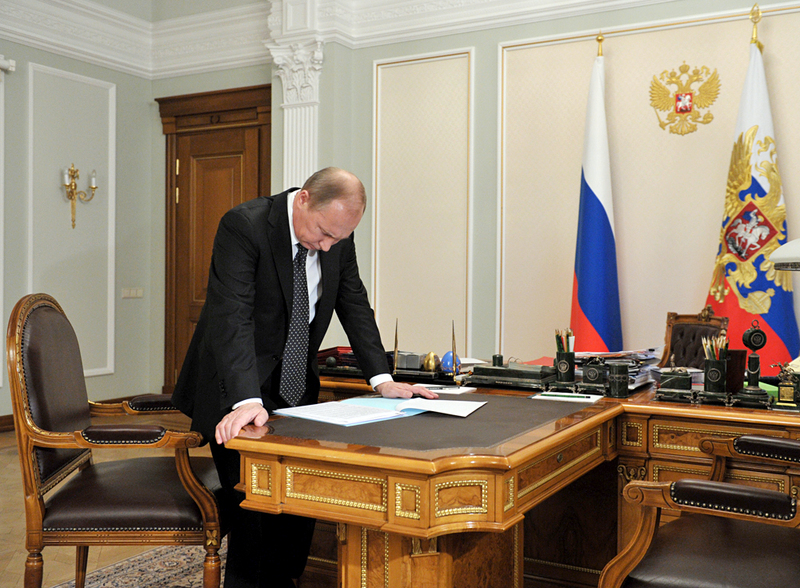 Russian economists have proposed three programs to help the country get out of the crisis. They were presented to President Vladimir Putin at the session of the Economy Council on May 25. RBTH tries to understand the essence of each plan and how such proposals were realized in the past. The Ministry of Economic Development believes that the growth of salaries and the country's galloping consumption are driving the Russian economy into a dead end. That is why it is suggesting two ways of getting out of the crisis: limiting salaries and transforming the revenues into investments. According to this plan, investments in the upcoming years should grow by 7-8 percent annually if consumption stagnation remains as it is now, says the ministry. It is impossible to force all employers to limit the growth of salaries, but it is possible to influence the budget structures that are dependent on the government. Among other ideas at the ministry is to increase the retirement age for men and women to 63-65 years (currently it is 60 for men and 55 for women). In order to make life easier for businesses, the ministry is suggesting to facilitate laying off workers for economic reasons, that is, changing the labor legislation. The practice of radically limiting consumption was realized in the USSR in the first half of the 20th century when all resources were directed to the development of industry to the detriment of private consumption. However, this was part of the planned economy mechanism, when resources from domestic sectors were distributed by directive. Currently the Russian government does not have such resources. An alternative plan was presented by the so-called Stolypinsky Club, named in honor of Minister Peter Stolypin from the beginning of the 20th century, (a club of conservative economists). One of the members of its presidium is Putin's advisor Sergei Glaziev, a leftist economist who is in favor of independence for the Russian-speaking Donbass region in eastern Ukraine. Russiau2019s economic dilemma: Are higher oil prices a blessing or a curse? The Stolypinsky Club suggests that Russia launch a "quantitative easing" policy, for example, print special obligations for 1.5 trillion rubles ($22.5 billion). In order for this not to affect inflation, the club proposes the country return to the currency corridor and end the floating exchange rate, which was introduced at the end of 2014. Such a plan was implemented in the USSR during the large crisis at the end of the 1980s, which led, among other things, to the collapse of the state. This method is actively employed in the West. "This policy is now used in the U.S. and the EU, but their economic conditions cannot be compared to those in Russia," said Bogdan Zvarich, analyst at investment holding Finam. The main difference is Russia's high inflation, due to which the introduction of the obligations would result in a drastic increase in prices. It is impossible to obtain economic growth without guaranteeing the right to property. That is why the necessary condition for overcoming the crisis must be the reformation of the law enforcement agencies and the justice system, according to former finance minister and author of the third plan Alexei Kudrin. Despite the fact that Kudrin resigned in 2011 and currently heads the Committee of Civil Initiatives, which in reality opposes the present government, he remains one of the most influential economists in the country. In his view, for the country to get over the crisis the justice and law enforcement systems must be more objective and the share of the economy that belongs to the government must be reduced in favor of small business. But to speed up growth rates to 4 percent in 2019 an additional 4.5 million people must enter the workforce and 40 trillion rubles ($599 billion) of investment must be injected into the principal capital. Such a policy produced successful results in the Southeast Asian countries, notes Emil Martirosyan, professor at the Russian Presidential Academy of National Economy and Public Administration’s Institute of Business and Business Administration.